Stephen Hartman is the sole proprietor of the chiropody clinic "Hartman Chiropody Professional Corporation" that is located in Uptown Waterloo at 200 King Street South. He graduated from the Chiropody program at the Michener Institute in Toronto and has more than 20 years of experience. 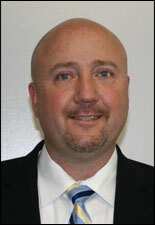 Stephen has received his Bachelor's degree in Podiatric Medicine from the Durham Podiatry School in Durham England. He treats patients who have over 300 different types of foot related impairments such as peripheral neuropathy, foot ulcers, calluses and corns and ingrown toe nails, which are all common foot problems in the diabetic population. Stephen Hartman is also the Chief Executive Officer for the Canadian Federation of Podiatric Medicine (CFPM). Mr. Hartman is responsible for coordinating and leading the CFPM in national and international initiatives. He has held past positions as CFPM President and Chairman of the Board. He is one of the founding board members of the CFPM. Jessica recently graduated from the Chiropody program at the Michener Institute in Toronto. 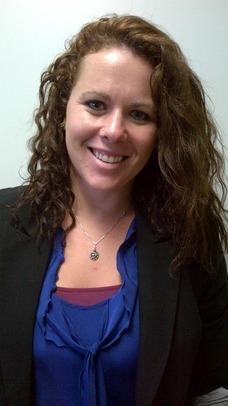 She has received her Bachelor’s degree inKinesiology from the University of Western Ontario. Prior to entering the Chiropody program Jessica worked as a Kinesiologist providing physical therapy treatments and educational seminars for seniors. She currently treats a wide variety of foot ailments. Jessica looks forward to continuing her career with the Hartman Chiropody Professional Corporation team and serving you in the future! 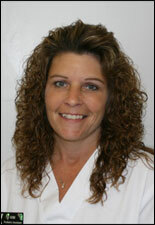 Kim is a clinical office assistant at Hartman Chiropody Professional Corporation. She has obtained her P.M.A.C status (podiatric medical assistant certified) with the American Society of Podiatric Medical Assistants. She also specializes in shoe and orthotic fittings. She also has obtained her CPR/AED level HCP. Karen is a clinical office assistant at Hartman Chiropody Professional Corporation. She has obtained her PSW (personal support worker) certificate and has over 15 years experience. She also has obtained her CPR levl B.
Linda is the front office manager at Hartman Chiropody Professional Corporation. She has studied at the University of Waterloo and Conestoga College and is certified in Business Applications and Bookkeeping. She has advanced training in computer applications and Microsoft Office. Linda has also had training in first aid and CPR.